Patent assertion entities (PAEs) are businesses that acquire patents from third parties and seek to generate revenue by asserting them against alleged infringers. PAEs monetize their patents primarily through licensing negotiations with alleged infringers, infringement litigation, or both. In other words, PAEs do not rely on producing, manufacturing, or selling goods. When negotiating, a PAE’s objective is to enter into a royalty-bearing or lump-sum license. When litigating, to generate any revenue, a PAE must either settle with the defendant or ultimately prevail in litigation and obtain relief from the court. The FTC was mindful of the costs that would be imposed on PAEs, required by compulsory process to respond to the agency’s requests for information. Accordingly, the FTC obtained information from only 22 PAEs, 18 of which it called “Litigation PAEs” (which “typically sued potential licensees and settled shortly afterward by entering into license agreements with defendants covering small portfolios,” usually yielding total royalties of under $300,000) and 4 of which it dubbed “Portfolio PAEs” (which typically negotiated multimillion dollars licenses covering large portfolios of patents and raised their capital through institutional investors or manufacturing firms). [T]he reality is the FTC doesn’t know enough about the industry to understand that $300,000 is an arbitrary line in the sand that holds no relevance in the real world. For the very same reason that they said the term “patent troll” is unhelpful (i.e., because it inappropriately discriminates against rights owners without understanding the business model and practices), so too is $300,000 equally unhelpful. 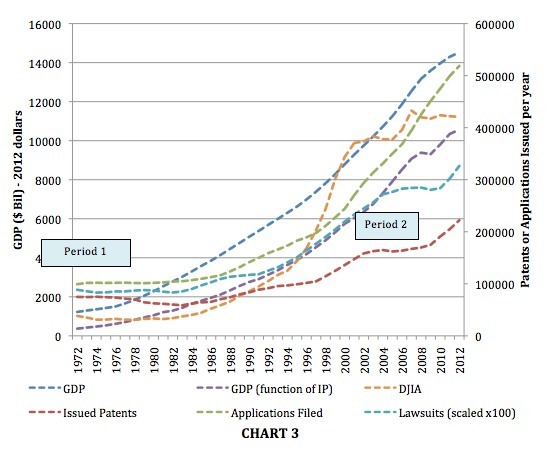 Without any understanding or appreciation of the value of the core innovation subject to the license there is no way to know whether a license is being offered for nuisance value or whether it is being offered at full, fair and appropriate value to compensate the patent owner for the infringement they had to chase down in litigation. I thought the FTC was charged with ensuring fair business practices? It seems what they are doing is radically discriminating against incremental innovations valued at less than $300,000 and actually encouraging patent owners to charge more for their licenses than they are worth so they don’t get labeled a nuisance. Talk about perverse incentives! The FTC should stick to areas where they have subject matter competence and leave these patent issues to the experts. In sum, the FTC found that in one particular specialized industry sector featuring a certain category of patents (software patents), PAEs tended to sue more than manufacturers before agreeing to licensing terms – hardly a surprising finding or a sign of a problem. (To the contrary, the existence of “substantial” PAE litigation that led to licenses might be a sign that PAEs were acting as efficient intermediaries representing the interests and effectively vindicating the rights of small patentees.) The FTC was not, however, able to comment on the relative levels of royalties, the extent to which PAE revenues were distributed to inventors, or the costs of PAE litigation (as opposed to any other sort of litigation). Additionally, the FTC made certain assumptions about certain PAE litigation settlements that ignored reasonable alternative explanations for the behavior that was observed. Accordingly, the reasonable observer would conclude from this that the agency was (to say the least) in no position to make any sort of policy recommendations, given the absence of any hard evidence of PAE abuses or excessive waste from litigation. Unfortunately, the reasonable observer would be mistaken. The FTC recommended reforms to: (1) address discovery burden and “cost asymmetries” (the notion that PAEs are less subject to costly counterclaims because they are not producers) in PAE litigation; (2) provide the courts and defendants with more information about the plaintiffs that have filed infringement lawsuits; (3) streamline multiple cases brought against defendants on the same theories of infringement; and (4) provide sufficient notice of these infringement theories as courts continue to develop heightened pleading requirements for patent cases. Before deciding to take action, Congress should weigh the particular merits of individual reform proposals carefully and meticulously, taking into account their possible harmful effects as well as their intended benefits. Precipitous, unreflective action on legislation is unwarranted, and caution should be the byword, especially since the effects of 2011 legislative changes and recent Supreme Court decisions have not yet been fully absorbed. Taking time is key to avoiding the serious and costly errors that too often are the fruit of omnibus legislative efforts. [E]ven entities whose business model relies on purchasing patents and licensing them or suing those who refuse to enter into licensing agreements and infringe those patents can serve a useful—even a vital—purpose. Some infringers may be large companies that infringe the patents of smaller companies or individual inventors, banking on the fact that such a small-time inventor will be less likely to file a lawsuit against a well-financed entity. Patent aggregators, often backed by well-heeled investors, help to level the playing field and can prevent such abuses. This has at least two advantages: It can reduce the transaction costs for licensing multiple patents, and it can help to outsource and centralize patent litigation for multiple patent holders, thereby decreasing the costs associated with such litigation. In the copyright space, the American Society of Composers, Authors, and Publishers (ASCAP) plays a similar role. 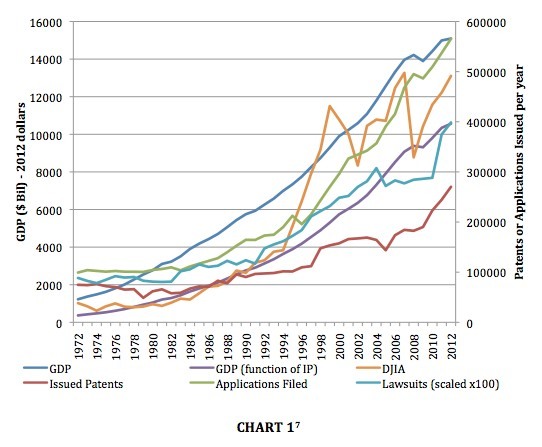 All of this is to say that there can be good patent assertion entities that seek licensing agreements and file claims to enforce legitimate patents and bad patent assertion entities that purchase broad and vague patents and make absurd demands to extort license payments or settlements. 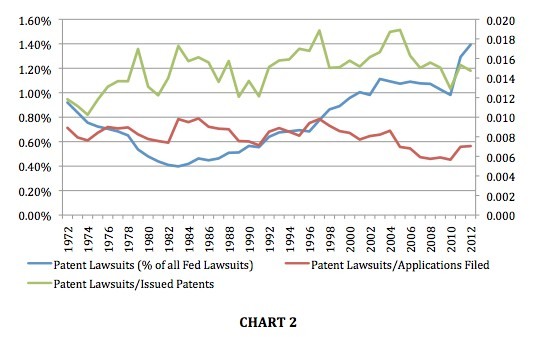 The proper way to address patent trolls, therefore, is by using the same means and methods that would likely work against ambulance chasers or other bad actors who exist in other areas of the law, such as medical malpractice, securities fraud, and product liability—individuals who gin up or grossly exaggerate alleged injuries and then make unreasonable demands to extort settlements up to and including filing frivolous lawsuits. In conclusion, the FTC would be well advised to avoid putting forth patent reform recommendations based on the findings of the PAE Study. At the very least, it should explicitly weigh the implications of other research, which explores PAE-related efficiencies and considers all the ramifications of procedural and patent law changes, before seeking to advance any “PAE reform” recommendations.